While Mists of Pandaria already comes packed full of some of the most diverse and expansive World of Warcraft content to date, we’re staying true to our goal of delivering new content faster. With that in mind, we’re pleased to share that the first major Mists of Pandaria content update, Patch 5.1, is well underway. In fact, our plan is to release a build of patch 5.1 on the Public Test Realms soon so you can experience it for yourself! Initially, the PTR build won’t include all of the 5.1 patch content, but here’s a glimpse of the major features that are already in the pipeline. While members of the Horde and the Alliance have been busy exploring the exotic continent of Pandaria, Garrosh and Varian have been gathering their forces in preparation for the struggle to exert the influence of the Horde and the Alliance over these long-lost lands. Players who have quested through Pandaria will see forces of both factions arrive in force on the shores of the unspoiled continent, bringing the tensions between the Horde and the Alliance into sharp focus. New daily quest hubs and faction reputations will be available to adventurers eager to do their part in the brewing conflict. Several UI and other improvements will be added to the Pet Battles system, including a way to upgrade the rarity of pets that you’ve captured. You will be able to spend Valor Points to improve the item level and quality of gear you already own. Wrathion is keenly interested in the conflict exploding between the factions on Pandaria’s southern shore. He’s sure to have additional tasks for players to complete as they continue their quest for Legendary gear. Keep in mind this is only a taste of what’s to come, and that there’s even more in store. 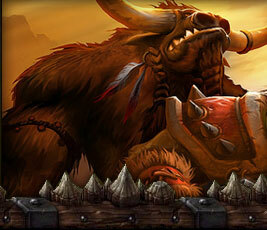 Stay tuned for additional details as we prepare release Patch 5.1 for testing!